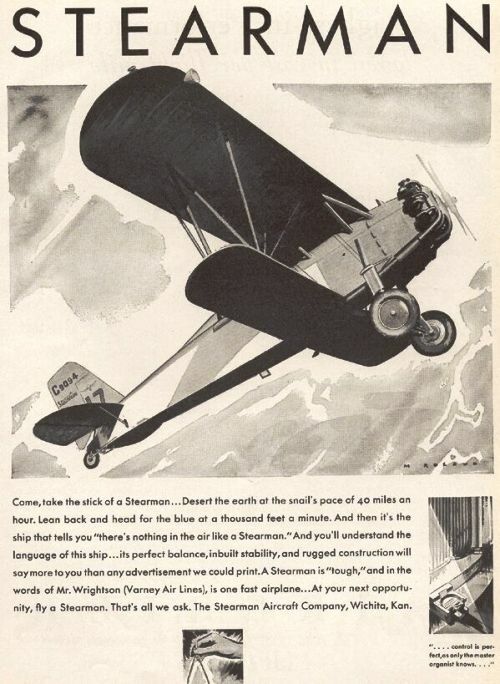 Lloyd Stearman is the well known designer of the legendary Stearman biplanes, which had been in service with the first American airlines during the 1920's. 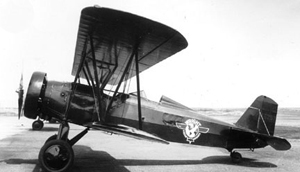 Besides Sport Planes like the Model C-2 and Model 6 "Cloudboy", he designed and built the famous Model C-3 and C-4 "Speedmail", biplanes with a large compartment for mail service. 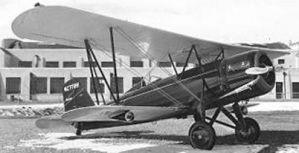 The Stearman LT-1 was equipped with a luxurious, enclosed cabin for four passengers and a mail compartment, but open cockpit for the pilot (which was typical for those days). 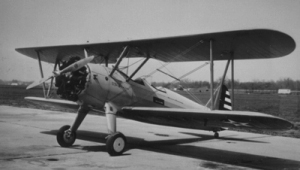 In the early 1930's the Stearman Company designed and built a training airplane for the US Air Force and Navy, based on the earlier Model 6. 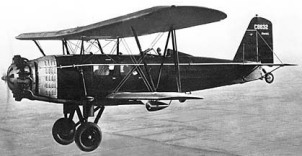 The prototype, named Model 70 took the skies in 1934, followed by the final production series Model 75, which had its maiden flight the same year. Designed as a military aerobatic trainer it featured a rugged airframe stressed to high load factors of 12 Gs positive and 9 Gs negative. 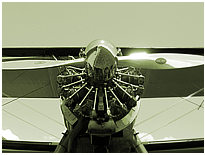 The hallmark of all Stearman aircraft was that they were highly sophisticated and well made, but expensive machines. 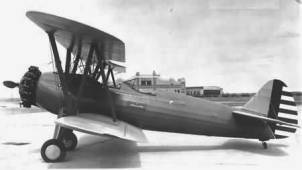 When the Stearman Compay was taken over by Boeing this airplane became known as the BOEING STEARMAN, produced in large numbers by Boeing Airplane Company in Wichita, Kansas. 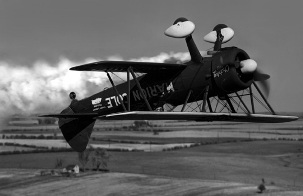 Soon this biplane conquered the skies of the United States, Canada, South America and other parts of the planet. 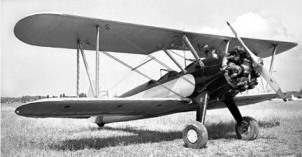 In the 1930's and 40' this biplane was the standard trainer for pilots in the US Army and Navy. 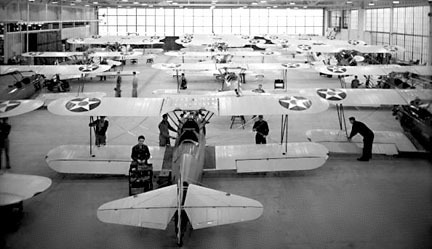 A whole generation of pilots earned their wings on the thousands of STEARMAN TRAINERS in operation at that time. 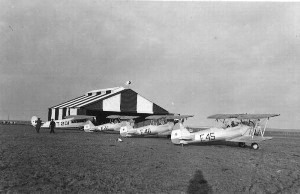 Like the Royal Canadian Airforce, US Navy and Army used these biplanes for primary, advanced and aerobatic flight training, as well as instrument flight training. 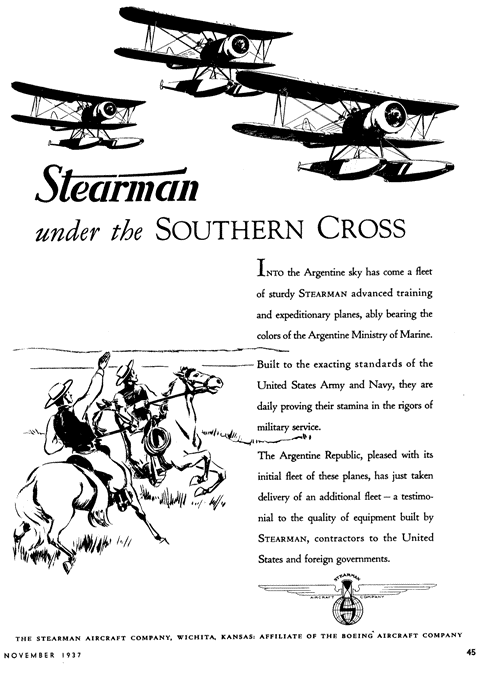 There were also several "STEARMAN FIGHTER" versions, delivered to various places on this planet. Equipped with MGs, some times Cameras or Bomb racks and powered by more powerful engines than the trainer versions, which resulted in a change of the designation to Model 73 and 76, instead of 75. The Stearman Fighter showed the features, performance and style of the classic biplane-fighters which were ruling the skies until the early 1930's, but the days of this design were soon counted. 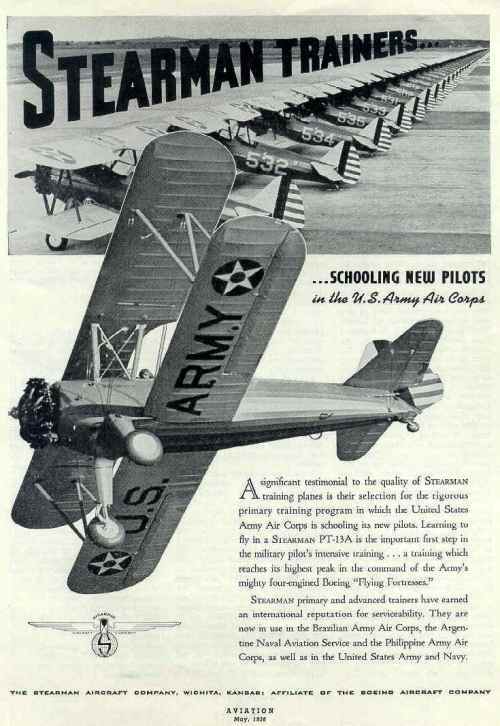 With the end of this era, also called "The Golden Age of Aviation", they played no longer a major role in the big airforces, but were in use with smaller airforces, who liked not just the fighter capability, but the strength and versatility of the Stearman biplanes. Wasp engine, camera and MGs in the wings and the rear. 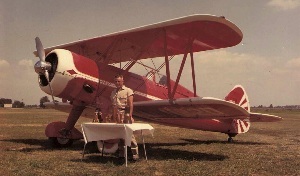 Philippine Stearman 73 with Lycoming engine, MG and Camera. 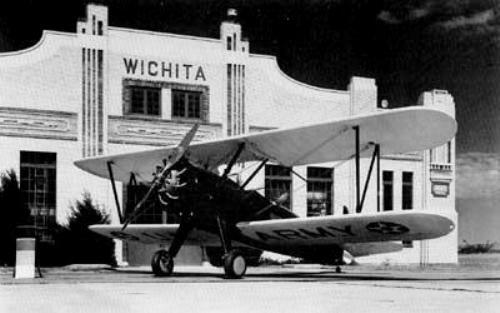 A 235hp Wright Whirlwind powered version was sold to Cuba. 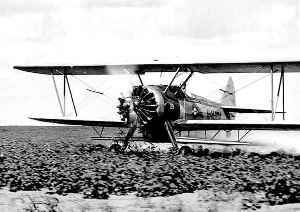 320hp Wright R760 engine and armament. engine and MGs as well as aerial mapping cameras. During the '40s, '50s and '60s a large number of these rugged airplanes were sold by the miliary government and had been in use for transport, agricultural flying, airshows, aerial photography, staring in various movies and much more. 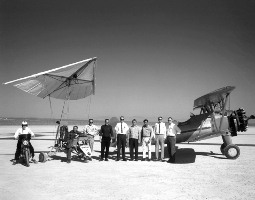 When the famous Reno National Air Races started in 1964 one of the 5 classes was the Stearman Racing Class. Like the "Stearman Fighter" versions these Stearman racing planes, were powered by stronger engines and many of them were aerodynamically improved. 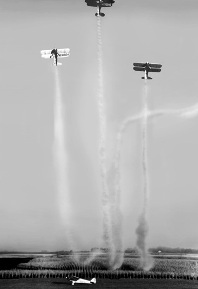 Since the late 1920's and early 30' breaking speed records was no longer the domain of the biplanes but they were still the first choice for maneuverability and aerobatic performance. 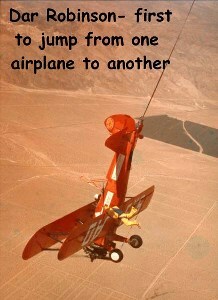 ...and with barnstormers and wing walker. 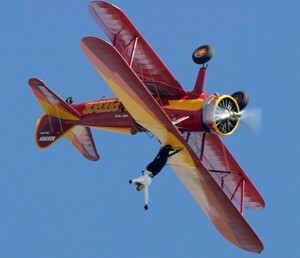 NASA Flight-testing with Stearman airplanes. ....dusting cotton-fields, this time some feet too low. 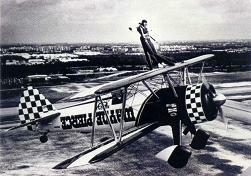 who started flying airshows in the early 60's. 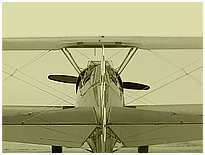 During the last years the old biplanes, representing the early days of aviation, became a rare species. As classic airplanes are getting more attractive and valuable nowadays, the few survivors of this period are restored back to their original configuration, finding their way into museums, to airshows, or simply serve for recreational flying.